As children, we all had the bug of inquisitiveness in us. 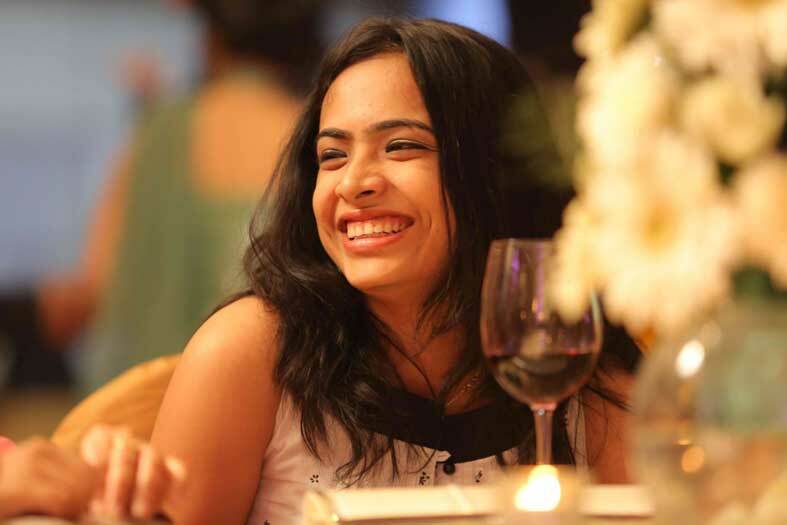 Most of us remember times when we ended up being shushed up by our parents as we kept on with the stream of asking innocuous questions, most of them starting with one word – Why? That I believe is one of the good habits as children that we do not take with us into adulthood. Off late, I have been using this stream of questioning to myself quite a bit, only to realize the importance of why in our lives. I have been fascinated with Simon Sinek and his book title – Start With Why. While the book itself is far more business oriented, I ended up taking the title to heart and applying it to my life. For me, it has been life changing. I started asking myself why I am a marketing professional. And after six or seven years, I realized the nagging feeling that I wasn’t adding any value to anyone. 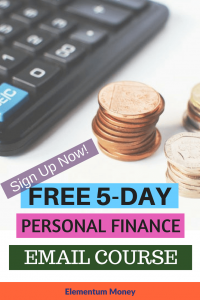 I wasn’t sure it’s my controllable, but just to enhance my understanding of a field I began to find increasingly fascinating, Personal Finance, I started studying to become a Certified Financial Planner. My why was simple there – Money and it’s management is increasingly becoming complicated in India. I can help people achieve their dreams and goals with the money they earn. Similarly, in the gym, I have been encouraged by my husband to question each exercise that I end up doing and its’ role in my workout. 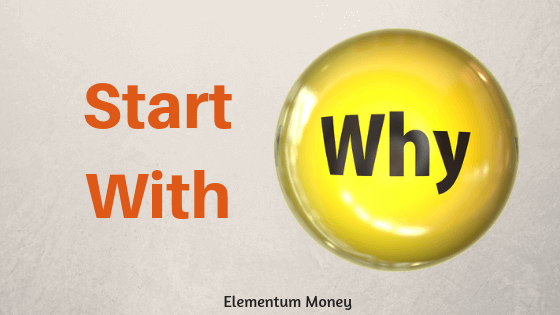 When I look at buying a stock, there too I like to start with why – why should I buy this company? The one thing I do ensure is to use why in situations or actions that I can control. In some areas of life, we are better off suspending all pretense of having any control. Having personally experienced it, I can vouch for the fact, that starting any endeavor with why makes for a refreshing change in life. A lot of time we end up being zombies in life, floating around with the herd. Why allows us to pause, introspect and proceed in life with good reason. Questioning your own actions and direction, allows you to steer the ship of your life rather than letting go of all controls. When you start asking why, especially for the good things in life, you will find a new found appreciation to little things everyday, that will make the quality of your life positively better. For instance, sometimes I ask myself why do I like my new job? One of the main reasons that comes up is not just the passion for the field of Personal Finance, but also the warm fuzzy feeling after some of my client meetings. Just the interactions and talking money with random strangers seems to be my thing and I am lucky to be social and have a job which gets it out well. When you start asking yourself why, especially when you are happy, the probability of gratitude and not taking the good in life for granted is bound to be far higher. This is one of the biggest benefits of asking why. Suppose you ask why for an action that you have been performing day in and day out, and find you have no good answer for it, you might just get the courage to do away with it. For instance, I had a bad habit of biting my nails. I realised that I find it very annoying when my nails grow long and I can flick them with my thumb. So, I started a much more regular clipping so that my husband would not have a reason to yell at me when he caught me nibbling at my overgrown nails. While everyone can apply why in different ways, I believe there are some universal why questions that you could start with. Money is intensely emotional and most of us have deep reasons attached to it. 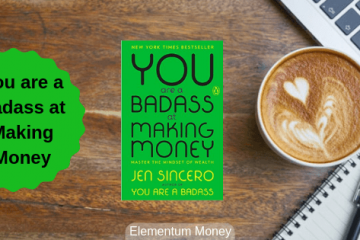 That, in fact was my starting point to Elementum Money, to making my readers think, what money means to them. Know and understand the importance of money in your life and your relationship with this life basic will be much better. Why do I love my family/friends? To me, this enhances my feeling of gratitude and cements my love for them. We finally end up investing a lot and spending most of our time with our family and friends. Knowing your reason for doing that will help you love them, respect them as well as your time spent with them. Ah, the million dollar question. Why am I in this job? The answers can be as simple as “for the paycheck every month” or even “for I don’t have any other job in hand” or as noble as “making a difference to the world”. However, for something where we end up spending atleast half our lives, doesn’t it deserve a good enough reason for existence? Today, our relationship with food is probably as complex as it is with money. However, it is also probably as sacrosanct and as important a relationship which could again hold the key to a better life. When you are about to eat something, ask why are you doing it? Is it because you are bored? Or is it because you would rather finish the pack of chocolates in the refrigerator so that the sugar temptation is no longer there? Oh wait, that’s my reason for the post dinner guilty pleasure. Why am I spending time on Social Media/Netflix/Amazon Prime? Ever took a minute to pause and wonder why you spend time the way you do? Why are you addictively checking all your social media accounts? Why are you binge watching the latest Netflix show? Is it to boast the next day in your peer group and make conversation and is it something you believe is the best use of your time? Most of us do not even realise how our money ends up getting spent. Stop and question your purchase. Why are you buying yet another dress when there is barely any room in your closet? Why are you buying another camera lens when you haven’t used your camera much either? Question your purchases, and a lot of things might start becoming redundant or increasingly important. A lot of us shoot off our mouth only to end up saying things we don’t mean or intend to communicate. This is something I have done for years, no mulled through what I think of and just impulsively said it. I now try to consider what I want to communicate and what is the best way of saying it. I think this why is something which can really help relationships be far better. This post has been quite preachy, and quite unlike me. But, for some time now I have felt the positive impact of why in various spheres of my life and felt the urge to put it out there for all of you to benefit. Has there been a time when you asked yourself why and it ended up changing the path of your life? Let me know in the comments below. I just picked up this book and only a couple chapters in, my wheels are already spinning. How can I use this to change different aspects of my life? I never even thought about how I could apply it to my personal life too!